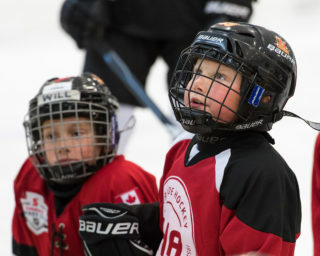 The Atom “A” Willowdale Blackhawks resorted to their change room at Etobicoke Centennial Arena after a 4-3 loss to the Woodstock Jr. Navy Vets. 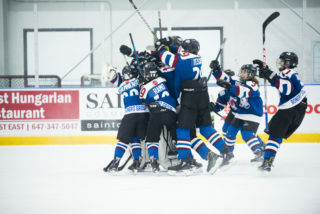 The loss was their second straight of the Atom “A” OHF Championship and the team was feeling lucky that their 1-3-0 record was enough to earn them a fourth place round-robin finish. 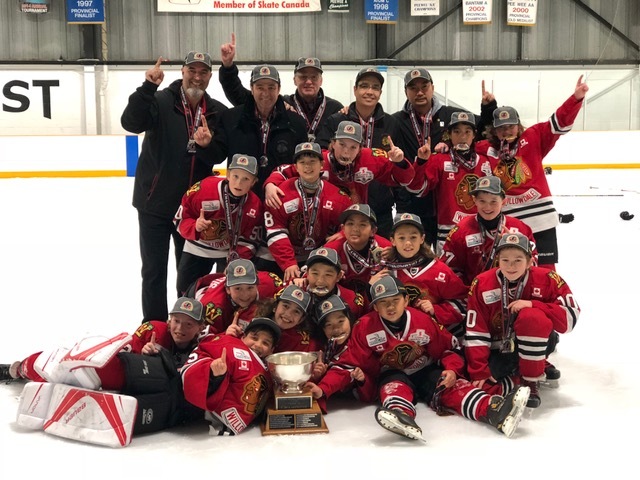 Winning both a GTHL Regular Season Championship and Scotiabank GTHL Playoff title, the Blackhawks were now up against some of the best Atom “A” competition from around the province. 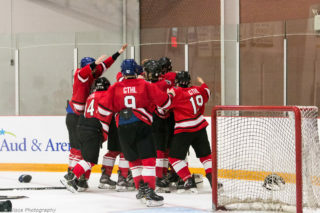 Just coming off an “A” Championship series, the game against the Jr. Navy Vets was the Blackhawks’ seventh within a five day period. 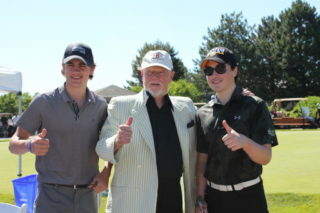 The team was tired but still determined to prove themselves as provincial contenders. 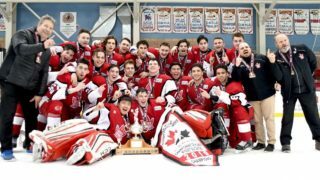 Leaving their round-robin performance behind them, the Blackhawks entered their semi-final matchup against the first place St. Thomas Stars motivated to finish their season on a high note. The game would head to overtime tied at four. Almost five minutes into the first overtime, Blackhawks centreman Liam Browne would find teammate Michael Egnatis, who tucked the puck into the back of the Stars net. “The win against the St. Thomas Stars was like putting gas on a fire,” explained defenceman Evan Brand. The gas would ignite the team to a 3-0 finals victory over the Temiskaming Shores Puckhounds, earning the underdogs the title of 2018 Atom “A” OHF Champions. After the final buzzer, it wasn’t just the players who took pride in themselves. Coach Jim added that it was a surreal feeling seeing the final score. 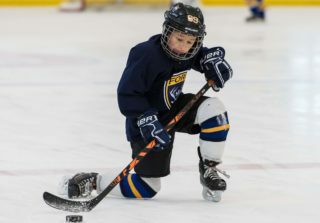 After a hard fought season, the Blackhawks plan to take the summer to enjoy playing other sports before returning to the ice.